Chicago Botanic Gardens Bus Trip (Grand Rapids) — Michigan Master Gardener Association, Inc.
A deluxe motor coach will leave Kent/MSU Extension promptly at 7:00 am with a brief pick up at the parking area of Walter's Garden's in Zeeland to accommodate our Ottawa County participants. Upon arrival at 10 a.m. at CBG's Education Center, we will meet with Richard Hawke, Plant Evaluation Manager and Associate Scientist. Richard's research is the comparative evaluation of ornamental plants, predominantly herbaceous perennials, to determine the best garden plants for the Upper Midwest. The herbaceous plants under evaluation are grown outdoors in side-by-side trials for a minimum of four years; vines and shrubs are evaluated for a minimum of six years. Plants are monitored regularly to assess their ornamental traits; cultural adaptability to the soil and environmental conditions of the test site; disease and pest problems; and winter injury. After our formal education time, you will have free range of every area of the garden! Your first stop may be for lunch on your own at the Garden View Café, the new Rose Terrace Beer Garden or stop for a refreshing juice at "TrueJuice" in the Fruit and Vegetable Garden. Once inside the main guest area you may wish to purchase tickets for a tram ride overview of the garden. With your map, you will be able to better assess the size of the garden and can create priorities to enjoy the 27 gardens and 4 natural areas including the English Wall Garden, Aquatic Garden and Bonsai collection. Enough time is allowed for BOTH lunch and dinner which you will want to grab before we leave for home. We will join the bus again for a 5 p.m. Chicago time (6 p.m. Michigan time) departure to return home. Light snacks will be served on the coach. Feel free to bring additional snacks and beverages for yourself or to share. We will watch a movie and let the driver do all the work! 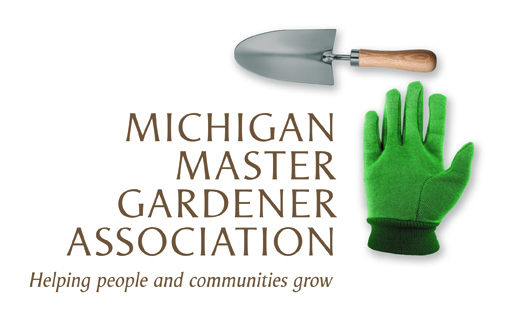 Re-certified MSU Extension Master Gardener attendees will earn 6 continuing education hours (to be reported using the VMS project of Community: Beautification - Educational Display Gardens). Register today because seats will fill quickly. REGISTRATION DEADLINE IS: Friday, August 17, 2018 or when the bus is full. Payment by Check/Money Order: Postmark deadline is Aug. 7, 2018. Your seat is not reserved until your balance is paid in full.